Tuesday, 14th May. 7pm at Seaton Tower lay-by. dispelling some of the myths and misunderstandings that prevail. He described evolution, biology, setts, diet, reproduction, communication and social organisation. Badgers are the in the mustalid family, along with otters, weasels, mink and ferrets and are not rodents as many people think. The largest populations in the world are in Sweden (350,000) and the UK (340,000). There are different kinds of setts- main, subsidiary and outlyers. The main sett can be very large, for example, with 16 entrances, over 50 dens (rooms) and be 310m long but usually only 4-6 badgers may live there. They are solitary foragers, love plums and eat mostly earth worms. An informative and memorable evening for us all. A well attended meeting. Many topics considered and ideas discussed. The following officers were elected: Jo Smith Oliver, Chair; Grenville Barr, Treasurer; Polly Benfield, Secretary. Huge thanks extended to Chris Boothroyd for carrying out his role of treasurer so diligently and for all his support as an officer, especially in designing our constitution and putting into effect our membership scheme. It was agreed to keep the membership subscription at the same level of £5 per year. We learnt all about how to build a beautiful, thoroughly green and sustainable artistic sculpted house from the mud beneath your feet. Charlotte Eve and Kate Edwards explained how they built their very own cob bale house using just the mud they dug up from the garden , the whole house cost £10,000 and won several awards. They told us how they did it, the highs and the lows – mainly the highs – and all the muddy fun along the way. Kate and Charlotte have been teaching people to build their own house from mud for nearly 15 years and now run training courses nearby in Uplyme. Everyone so enjoyed themselves in 2018 another party was planned for 2019. Paul Butter, an expert in all thing to do with moths, talked about about moths found in Dorset. ANNE BAKER – Scientist, Educator and Ocean Advocate. In 2014, with other scientists, Anne took part in eXXpedition gaining first hand observation of the significant challenge of ocean plastic pollution seen whilst sailing across the Atlantic and around the British Coast. She developed an in-depth understanding of the impact of plastic on our planet, the oceans, and our health. She gave such an inspiring talk at Eva Fahle Clout’s art exhibition in June 2018 and we were pleased she returned to Lyme. OCTOBER – Compostables: Are they the answer? Mark Foxhall talked about compostables as alternatives to single-use plastics. While we strive to find ways around our plastic addiction, biodegradables may seem an obvious choice. But on closer investigation, they too may have a negative impact on our environment. 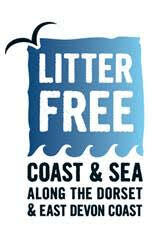 SEPTEMBER PLASTIC FREE LYME REGIS September’s meeting will a round up of activities for Plastic Free Lyme Regis. Led by Chair of the Steering Group, Grenville Barr, will update everyone and lead a discussion on future plans and ideas. A chance for everyone to participate and share views. JULY Tree Magic in the Axe Valley Graham Jones led a wonderful field trip through the woods on Trinity Hill. A perfect evening, learning much from his extensive knowledge and love for trees. JUNE The planned field trip to Carymoor was postponed. Sorry to disappoint the members who were keen to go, but not enough expressed interest at the time. We hope to re-schedule. MAY Tuesday 8th at the Driftwood Café, Baptist Church. Paul Burridge of the Dorset Waste Partnership led the Question and Answer session, when people brought samples of packaging to learn how Dorset deals with our recycling and what we can do to help. The AGM was held to include a report on the past year’s activities, to receive a financial report and to elect TLG’s officers. There was also an update on ‘Plastic Free Lyme Regis’. MARCH Tuesday 13th 2018 Baptist Church, Driftwood Café, Broad Street. Some 50 people attended this open discussion to share the practicalities, and business benefits, of ‘going green’, including the awards and rewards available to those who succeed. There were contributions from business owners who have already progressed along this path and many ideas and experiences were shared. We were grateful to the Baptist Church for hosting the meeting in their new Driftwood Café, itself an eco-friendly construction. Jo Smith Oliver led a discussion on the magic of trees and our own individual experiences of them… through art, writing, self-expression, meditation, poetry and song. There was a joint meeting with the U3A with bee expert Brigit Strawbridge at the Woodmead Halls. NOVEMBER Tuesday 14th November 2017, Royal Lion, Blue Room. Terry Sweeney spoke about the latest news on the coastal path and local environment. We screened – ‘A Plastic Ocean’, the stunning and memorable film about plastics polluting our oceans, particular poignant as we live near Lyme Bay. Here is the link to a preview. ‘A Plastic Ocean’ is an adventure documentary shot on more than 20 locations over the past 4 years. Explorers Craig Leeson and Tanya Streeter and a team of international scientists reveal the causes and consequences of plastic pollution and share solutions. The group met to talk, share and debate ideas about ‘green’ issues … locally, our open spaces, our seas, our nearby communities. Ideas for Turn Lyme Green .. campaigns… speakers… How should TLG share information? What would you like from TLG? For those who saw the film ‘Tomorrow’, there may be many ideas inspired by the experiences and actions of communities around the world. Reports from the Chair and Treasurer were given. Officers were elected and the subscription for the following year set. The AGM was followed by a talk from Lynne and Dom from The Old Moo Shed, giving us the story behind their enterprising local family business providing raw milk from their shop and delivered to the doorstep. Jo Vassie from Higher Ground Meadow, a natural burial site, talked about the natural burials which are arranged at this beautiful site. She was in conversation with Tracey West. You can read up about the site here. Phil Gamble led another popular workshop to help members learn and practice pruning skills. It also means that the community apple trees planted by TLG will get some welcome TLC. John Wood organises these workshops and he writes…. “Our first apple tree pruning workshop of the winter took place on Sunday 12th February and despite very cold conditions it attracted our best attendance to date. It took place on Slope’s Farm where some seven years ago Turn Lyme Green planted seven of their eighteen apple trees as part of the Community Orchard project. Local horticulturist Phil Gamble once again kindly gave his time to lead the workshop. Phil showed us how to go about the normal winter pruning of apple trees and in addition there were a number of problems with some of the trees such as a broken branch on one tree, canker on another, crossing branches, vigorous water shoots and crowded centres. Phil demonstrated how to deal with these and other problems and brought to our attention how previous years’ pruning sessions had affected the growth and shape of the trees. All seven trees on Slope’s Farm have been adopted by guardians who will in future years be responsible for the care of their chosen trees. On Sunday under Phil’s watchful eye they gained hands on experience with pruning their trees. There are another eleven trees in the Anning Road area which will be needing guardians and if you would like to take one or more trees under your wing please come to our next pruning workshop the date of which will shortly be announced. There is no compulsion to adopt a tree for you are most welcome to simply attend the workshops in order to improve your pruning skills. There is no charge for attending the workshops. Tracey and Simon West, two very active members of TLG, have set up a charity with a focus on trees and promoting awareness of the environment. They will be talking about their trees, their work and future plans at our next meeting. Tracey writes…..
“The Word Forest Organisation is a UK based NGO. Its charitable objects are to plant trees, build classrooms and raise environmental awareness in the UK and in the Coastal Province of Kenya, improving the health of our planet and all its inhabitants. It was founded in the wake of us all experiencing the planet’s hottest ever recorded temperatures in September, October and November 2016; notably also the hottest year globally in over 120 years of record keeping. As at November 2016, our planet is perched on the edge of a 1.5°C global increase in temperature, well over halfway towards exceeding the Paris climate talks’ agreement of limiting warming to less than 2°C by 2100. Their board believes many of the devastating effects of climate change can be mitigated by planting trees. The Peer Power project aims to inspire groups in the county to develop new renewable energy projects that are owned by communities, benefit people in Dorset, and generate local clean energy. This is the perfect opportunity to see renewable energy technology in action, and to speak to volunteers, project developers and landowners who made the projects happen. Regen are arranging an exciting programme of Peer Power activities throughout the year including technical training, arts events and a feast. Peer Power has been organised in partnership with Dorset County Council and is funded by Power to Change. For more information please contact Jodie at Regen. Transition Town Bridport organised a green fortnight end March – early April. ACTIVITIES. Polly Benfield, Secretary, said that numbers of people attending monthly meetings (2nd Tuesday except August & December) had been growing and the system of members volunteering to lead meetings on topics of their choice had worked well. Topics had included home composting, recycling with a speaker from Otter Rotters, electric cars and effects of planning on the local environment and community energy. A number of ideas were suggested for future talks, including straw bale houses, film nights, speakers or visits to Trill Farm & Monkton Wyld, talks from Mukti Mitchell and Jane Walker, author of ‘The Resilience Handbook’. Thanks were given to the Royal Lion for hosting TLG meetings without charge. TLG had written a letter to the town council asking it to develop a neighbourhood plan. Phil Gamble and John Wood had organised fruit tree pruning training and efforts to look after the community orchard apple trees planted in a number of local locations. The Eco Open House weekend had been successful in September 2015 and plans were in hand to hold an open day again for this year. TLG was supporting an anti-fracking initiative – Frack Free Lyme Regis– which had organised some films and panel discussions. ONLINE COMMUNICATIONS & PUBLICITY. Thanks were given to Surya Osborne for his work on the web site and a welcome to Belinda Bawden who would be taking over regular updates and development of the site. Help was needed with publicity, someone to take a lead on TLG’s Facebook page and Twitter. Fiona Wood kindly offered to help on this front. Polly would continue to send out newsletters, but would welcome assistance. FINANCE. Chris Boothroyd, Treasurer, reported a balance of £288. He proposed that a constitution be adopted for TLG and that a small membership fee of £5 per year be initiated. In this way, TLG would be raising some funds from committed members for its activities and the costs of hosting the website and domain. Meetings would continue to be open to all comers; donations would be suggested for visitors to help cover any costs, say the hire of a film or venue. With a constitution, TLG would be better placed to make applications for grants for agreed projects. These proposals were supported and agreed. Environmental Impact of New Housing on the Community. 20 people gathered on 9 February to discuss the environmental impact of development in our town. Special guests were Councillor Anita Williams who chairs the Town Council’s Planning Committee, Peter Coe, volunteer Planning and Conservation Officer for the Lyme Regis Society, Wendy Davies from the Lyme Forward Housing Group and Adrian Ragbourne, coordinator of Lyme Forward with a special interest in community energy opportunities. During a wide ranging discussion over many topics including the use of land, style and scope of developments and community energy solutions, the value of developing a Neighbourhood Plan became clear. This would give everyone in Lyme Regis a chance to develop a shared vision for their neighbourhood and shape the development and growth of the local area. It was decided that TLG would write to the Town Council urging it to spearhead this project as soon as possible. Contact Chris Boothroyd for further information. Read the minutes of the May meeting. Read the minutes of the April Meeting. Read the minutes of the March meeting. Notes of the meeting held on July 15th 2014. Tuesday 17th June 2014. Topics included: Lyme Regis Driving Range Landfill, Community Energy Scheme, Compact Fluorescent Light Bulbs & Open Eco Homes. View the minutes of that meeting here. Tuesday 11 June. 7pm. Permaculture – the secrets revealed. The Malthouse at The Town Mill. We were very pleased that Aranya was able to join us for our meeting in June. Aranya lives locally and is one of Britain’s busiest permaculture teachers and author of the popular ‘Permaculture Design – a step by step guide‘. Minutes from the 11th June Meeting- click here to download. Minutes from the 14th May meeting – click here to download. Tuesday April 9th, 2013. ‘Future of Hope’ was the inspiring film about Iceland seen at the meeting on 9th April. Tuesday 5th March, 2013. Richard Toft and his crew from Bridport Renewable Energy Group demonstrated their anaerobic digester at the meeting. Minutes from the 5th March meeting – click here to download.